Praise n Worship n Celebrating Jesus in the park w/ Prophetic Warriorswas awesome yesterday! Wow! God's presence was thick n tangible. We forgot where we were n got lost in His Presence! Ended up bowed down in awe on the concrete! Banners waving, dancing, singing, praying, traveling, repenting, live worship music, shouting to the Lord! And God responed w/ His Glory Presence! Awe! Where do I begin? 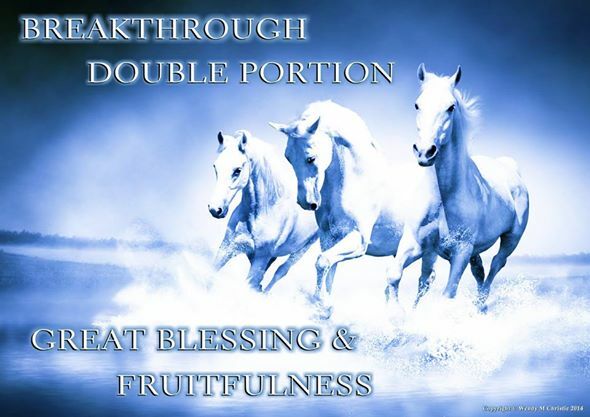 Prophetic Warriors Ministry (PW) was…..words cannot explain. Ruthie Young taught on Hanukkah, Authority & Gates & Turning the battle at the Gate. She also shared on how God was now bringing us into team and we are learning to flow together as a team. We did a prophetic act by taking an APPLE – representing being fruitful, walking in the fruit of the Spirit & harvest – and dipped it in HONEY – representing “Taste & see that the Lord is good” and ate it. It was so sweet we went back for more! We put oil on our feet (shoes) representing we walk in prosperity & on the path and through the open doors that God order our steps into/onto, with Authority. Then we went out and demonstrated what we just learned. More later on the prophetic words that came forth. As my grandson would say “I’m cu put! Psalm 40:1 (AMP) 1 I waited patiently and expectantly for the Lord; and He inclined to me and heard my cry. First gathering and launching of the Prophetic Warriors. Come with "expectation" - expecting the move of God, expecting a breakthrough in what ever area we need it! As we prepare for this gathering, pray that our minds, ears, eyes and hearts are open to receive all that God has prepared for us and that we see, hear and obey all that God say. We must guard our hearts and do warfare over even our getting to the meeting. Those that feel led of God to do so, do some type of fast from now until the meeting. Remember "every breakthough and miracle is surrounded by spiritual warfare", therefore begin now to war in the spirit. AND be encouraged, for you are CHOSEN of GOD! Remember as well that "God does not called the qualified, He qualifies the called, that they may become His CHOSEN! Know that I am in intercession for you and I am looking forward to meeting with these members of God's Prophetic Warrior Bride! See you Saturday (30th) at 5.